This is the pilot episode of a new series of podcasts I plan to release over the coming months. We have all taken different paths to arrive at our current outlooks and worldviews, and sometimes it can be useful to reflect on our journey thus far. By interviewing a range of individuals who have spent some time engaged in the process I refer to as ‘deprogramming’, my hope is to learn more about the Lie System in which we live, as well as the types of people who have spent their own time studying it. This is why the series is entitled ‘Perspectives’: each interview will offer the listener a deeper understanding the guest’s point of view: not only what it is but, just as importantly, how it came to be. 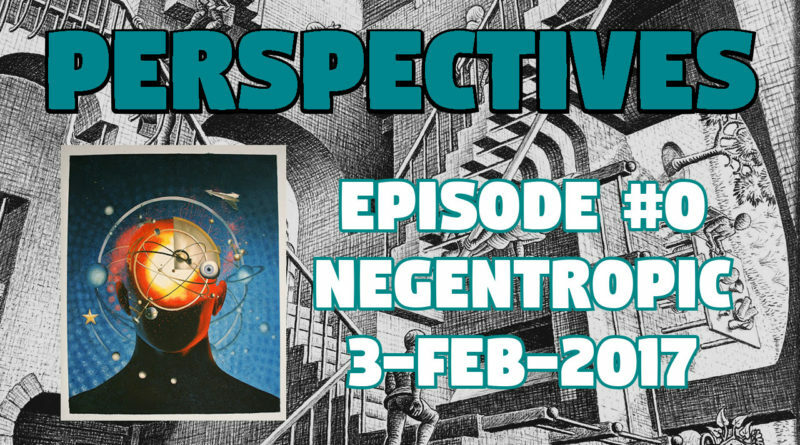 In this episode I spoke with Negentropic, a man based in the US who posts his thoughts across a range of messageboards including the David Icke forums. He is the man behind the ‘Negentropic Chronicles’, a series of marathon podcasts which feature clips from a variety of alternative/independent media outlets, archival audio/footage, and music you might not hear elsewhere. Neg’s experiences with the 9/11 ‘truth movement’ – and the various boobytraps and false prophets connected to it – offer invaluable insights into the broader ‘truth comunity’: how it operates, what kind of people are involved, and so forth. I have followed/listened to most of the same guys your guest mentioned: Fetzer, Barrett, Reynolds etc and I am not convinced these guys are all controlled opposition but instead “normies” in the truth movement. Fetzer is old and you don’t teach old dogs new tricks. Fetzer and Barrett come from universities, these uni guys usually are pretty brainwashed themselves and it is very difficult for them to make the leap. I think Reynolds has done some good job spreading the no planes info, I don’t know why Negentropic calls him a shill but to be honest I don’t care either. Alex Jones is 100% controlled! I have met David Icke in his home on the Isle of Wight, nothing fancy, just an old guy doing his job in a small study. After talking with Icke a couple of times I have come to the conclusion that he is the one whos wearing the blinders. I don’t think he is a shill, but I could be wrong. Some of the info he puts out can be spot on but complete nonsense the next second. 9/11 was such a massive manipulation on a grand scale that even the best researchers couldn’t grasp what went down. And now years later when it is obvious there were no planes, these old-timers have their ego what’s blocking them to see the obvious. I am 35 and been researching conspiracies for 10 years and I think the smartest pencils in the box have surfaced within the last decade or so. I don’t see old-timers discussing helio-lie, dino hoax, nuke hoax, no planes etc. The no planes topic – it has come to my realization that the idea of no planes and 100% media fakery is too much for most people to handle, researchers included. Therefor I don’t think these people are all shills who oppose the no planes fact. They usually say “I can’t believe everything is fake”. What you say about Fetzer and Barrett and Reynolds can also apply to Alex Jones since AJ also acknowledged that Sandy Hook was “completely faked from scratch, including all the victims.” But did he apply that supposed new “understanding” to any other PsyOps, never mind 9/11? Nope. Is this deliberate? I would say yes. Can I prove it “100%” as in produce an authentic video or document of Alex Jones sitting around a table with his CIA/Mossad handler plus the Watson brothers and maybe even Le Anne McAdoo and planning these things? Nope. Can you prove your “100% controlled” assertion? Nope. (After all, if “Infowars” is “100% controlled” then what is “The Young Turks” and its supposed over 1 billion hits on you-tube, which is far worse, 200% controlled”? lol ) But there is enough “proof” for me and you and anybody else “in the know” to never trust or rely on any information given to us by that particular fear-mongering blow-hard clown again. Yet we would still trust the gatekept Alex-Jones information more than the official mainstream media itself while looking for the knife in the back and the points of toxicity (“turds” or contradictions and two-faced hypocrisies in his punchbowl of “truth). When I said to John, we have to be aware of “hierarchies of shills,” what I meant and wasn’t able to clarify enough because we were going at 100 miles an hour and had limited time, is that “levels of MIS-trust” are different at the various levels of “trutherism,” yet a healthy skepticism is always essential and there are clearly observable reasons for mistrust at a more informed level of possible understanding (when there wasn’t too much at a more superficial level) such as Fetzer’s or Reynolds’s or Ace Baker’s (the refusal to accept any, even the most obvious, non-plane media fakery on 9/11 or any pre-Sandy-Hook PsyOps is the justified mistrust that unifies these 3 “No-Planers” with Judy Wood, Andrew Johnson, the Web Fairy and many others). When these reasons are present, they should be clearly expressed in their contradictions and the personages “called out” for their suspicious and dishonest bee-hive-ior, regardless of whether “intention” can be proven or not. For example, with regards to Alex Jones, we have these following more-or-less clearly researched facts of his 34 or more proven Jew advertisers, his half-Jew ex-wife Violet who supposedly converted to Christianity to marry him, his at-the-very-least 4 million dollar net worth exposed during the divorce settlement, his quarter-Jew children and his never mentioning of the holohoax or even Zundel’s imprisonment for 7 years on thought-crimes charges, that very much suggest an untrustworthy “shill” or “con-fidence artist.” We also have his promotion of the complete fraud William Rodriguez and his complete and utter rejection of all “No-Planer” theory on 9/11 from 2006 to this very day. My use of the term “shill” does not automatically or necessarily imply “government agent,” or “intentional acts of psychological manipulation that lay the groundwork for tyranny, i.e. “psychological sabotage.” What it does imply at all times is “confusion spreader and disinformation spreader,” intentional or not making no real difference to the end result: divide and conquer through endless quarrels and arguments between various factions of the “truth movement” making it a “bowel movement” instead (full of crap) where almost everything is believable but nothing clearly knowable. a few times which will give you back, if you comprehend what he’s trying to say, the most important perspectives towards the process of “thinking” itself that have to kept “in mind” before accurate and non-dogmatic thinking can even have a chance to get its footing. We have to go beyond the more out-dated and worn-out symbols and metaphors of verbal (or any other, including mathematical and musical or visual) language regularly. New terms have to be coined that synthesize the truest aspects of older ones, make navigation of that area of the psyche mapped smoother and the best it can be for the time being. Quite a few verbal fictions considered “reality” are anything but “realism” but merely temporarily useful constructions maintained mainly because they serve the interests of power, forced and unearned priviledge and the win-lose dialectic of the parasite by trapping people in symbolic/verbal prisons rather than the win-win of the producer and creator that is always engaged in busting you out of prisons or at the very least expanding the walls. The walls of symbolic prisons are expanded through new metaphors, though new language, new literature, new poetry, new art, new science, new technology, etc., down through the hierarchy of knowledge-&-understanding (two different things) from root philosophical concepts (t-roots) down or up through the leaves of be-leaf word-of-mouthing themselves through society. Most new knowledge has to arrive at a paradox (something seemingly illogical and contradictory at a lower level of understanding which becomes “logical” on a higher level) before it can be converted to understanding by temperately synthesizing the contradictions within the paradox into a new “truth” which can then be be incorporated, non-dogmatically, and without compromising either the values of the old truths or the new truths synthesized out of it, into the intellectual discourse of that society and eventually find its way, even if only through a drop or two of elixir not clearly understood but appreciated through “pleasurable feeling,” to the middle class or largest portion. Everything IS relative and yet some truths have eternal form or shape-shifting ability and maintain their influence through all syntheses. As the Greeks wrote over 2000 years ago: “Temperance is not compromise.” A hue-man being having a million hues that have to have their shades and modalities and colors constantly balanced with others and adjusted in order to have the smoothly functioning and “beautiful” ultimate work of art that is the healthy individual human being does not mean there are no more-or-less “eternal” black-&-whites of more-all-ity (such as the initiation of force and fraud being wrong and the making of vices into crimes being wrong) that also have to be recognized in and maintained through a thousand-&-one potential camouflages and disguises and morphed forms. We have to be able to check the premises or foundations or initial dialectics of any “logical” thinking structure not just once but on an ongoing basis and make sure they’re sound and as “true to reality,” not just some verbal dogma maybe “useful at one time” but now outdated, as possible. The problem, of course, is that not “enough people” are willing to be marginalized. However, as we saw in the 1960s, plenty of people will become marginalized into a counter-culture (whether you think it was “nefariously created” from the start as John and Jan Irvin seem to think or co-opted and steered as I tend to think) IF it makes them “feel good” through great rock bands and music and sexual freedom and “the freedom to dream,” etc. Note: in the quote below Schotz calls what Huxley calls “knowledge” belief and what Huxley calls “understanding,” “knowledge.” However, they are more-or-less talking about the same thing. It is so important to understand that one of the primary means of immobilizing the American people politically today is to hold them in a state of confusion in which anything can be believed but nothing can be known, nothing of significance that is. If Fetzer knows about all this consciously and clearly and has even read articles or books of psychology on it which he quotes, then why is he engaged in exactly the same kinds of activity when it comes to Media Fakery? Why are he and so many other supposedly smart people with higher degrees in the “truth” movement hypocrites and why does he continue being one even if others point out his hypocrisy to his own face as One Born Free and Simon Shack have done many times not just on their own websites but in the comment sections of Fetzer’s sites? For all these reasons and many more (including calling William Rodriguez “an honest guy” because he had dinner with him, lol), I don’t trust Fetzer further than I can throw him. Although I’m willing to throw him a bit less far than Kevin Barrett, who actually interviewed the complete boo-hoo-hoo-on-cue fraud fraud Bob McIlvaine and never even asked him a single tough question such as “Hey Bob, you pathetic douche, why are there only 3 photo-shopped pictures of your supposed dead ‘9/11 victim’ son on the entire internet?” or “Hey Bob, you low-life prostitute and traitor, why does your ‘dead son’ not even have a Social Security Death Index entry, never mind a valid death certificate or autopsy or even a valid last-address-of-residence like all the other supposed “victims”? “What, then, is truth? A mobile army of metaphors, metonyms, and anthropomorphisms—in short, a sum of human relations which have been enhanced, transposed, and embellished poetically and rhetorically, and which after long use seem firm, canonical, and obligatory to a people: truths are illusions about which one has forgotten that this is what they are; metaphors which are worn out and without sensuous power; coins which have lost their pictures and now matter only as metal, no longer as coins. Now man of course forgets that this is the way things stand for him. Thus he lies in the manner indicated, unconsciously and in accordance with habits which are centuries’ old; and precisely by means of this unconsciousness and forgetfulness he arrives at his sense of truth. From the sense that one is obliged to designate one thing as red, another as cold, and a third as mute, there arises a moral impulse in regard to truth. The venerability, reliability, and utility of truth is something which a person demonstrates for himself from the contrast with the liar, whom no one trusts and everyone excludes. As a rational being, he now places his behavior under the control of abstractions. He will no longer tolerate being carried away by sudden impressions, by intuitions. First he universalizes all these impressions into less colorful, cooler concepts, so that he can entrust the guidance of his life and conduct to them. Everything which distinguishes man from the animals depends upon this ability to volatilize perceptual metaphors in a schema, and thus to dissolve an image into a concept. For something is possible in the realm of these schemata which could never be achieved with the vivid first impressions: the construction of a pyramidal order according to castes and degrees, the creation of a new world of laws, privileges, subordinations, and clearly marked boundaries—a new world, one which now confronts that other vivid world of first impressions as more solid, more universal, better known, and more human than the immediately perceived world, and thus as the regulative and imperative world. What ineffable essences, these touchless rememberings and unshowable reveries! And the privacy of it all! A secret theater of speechless monologue and prevenient counsel, an invisible mansion of all moods, musings, and mysteries, an infinite resort of disappointments and discoveries. A whole kingdom where each of us reigns reclusively alone, questioning what we will, commanding what we can. A hidden hermitage where we may study out the troubled book of what we have done and yet may do. An introcosm that is more myself than anything I can find in a mirror. This consciousness that is myself of selves, that is everything, and yet is nothing at all — what is it? 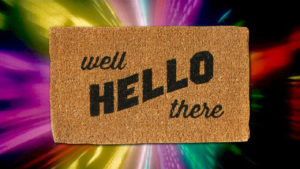 I am surprised to learn that you met David Icke in his home. Was it part of a group tour, or were you invited individually? Either way, I would be curious to hear more about this encounter. My own view on Icke is that he seems to receive too much establishment media coverage, and spends too little time focused on tangible/proven issues/topics, for me to believe he is a regular person, or a legitimate truth-teller. That said, I am open to the possibility. Anything is possible in this crazy world. I agree with you that ‘no planes’ is usually beyond even those who are already on board with the ‘inside job’ narrative, and I suggest that this is because the regular conspiracy theories are themselves just another layer of programming. That is, those who have already gone down the Alex Jones or Richard Gage rabbit hole have more programming in their heads than the typical normie. This may even be the intended effect. I saw that in your article (which I used google to convert to English) you mention Baker’s PsyOpera alongside Shack’s Clues. What are your thoughts on the Baker ‘suicide’ live on Fetzer? This ought to be ‘required reading’ for all would-be deprogrammers, in my opinion. If a prominent ‘conspiracy’ interviewer, can host a prominent conspiracy film-maker, and a live on-air suicide can take place, that should tell us a lot about who and what the leading ‘conspiracy’ characters are here for – and also what their audiences are here for. Neg is one of my favorite commenters at my place. Very insightful and he always offers a balanced, researched perspective. He has stuck with me for a long time, even through my worst rants. I am not positive, but I think I came upon your work via Neg. You two made a great team. I look forward to more of this. Thanks for the kind words, BM. The words ‘balanced’ and ‘researched’ are apt. Like a walking encyclopedia of the history of the ‘truth movement’, with humility to admit to being led down the wrong path by certain characters. Relative newcomers to the scene, people like myself who arrived here in the period following the Boston Hoaxathon and Sandy Hook, have a lot to learn from the experiences of those who have ‘seen it all before’, if only we take the time to listen. Speaking of which, I don’t suppose you fancy a guest spot on a future episode of Perspectives? Where’s the 4th comment? I only see 3 here John and now with this added it shows 5 comments with the 4th comment still missing. Hey Neg, all of your comments are here. Check your email, I have sent you through an update. I didn’t make the comment that’s missing here, John. On my computer I only see 5 comments posted now, including the very long one I made a few days ago, but the headline still shows 6 comments (with this one added it will show 7). Is this a mistake of the software for adding up the comments wrong or was there actually another comment by someone that I can’t see? I see what you mean. It may be a wordpress issue, because there are definitely no comments missing or in the spam folder. At the time of my writing this comment, this post had received three comments from yourself, one from me, and one each from BuelahMan and Hando. I suspect the listed number of comments includes ‘pingbacks’ because in my comments folder is a ping from Fakeologist who linked to this post. The most comprehensive source of links. This stuff is old news but Bollyn’s theory is the one still being championed by almost all the anti-Judaic as well as all the WN sites that are also “conspiracy-wise” or at least do not believe the official version of the 9/11 fable. Notice that even this guy, despite not trusting Bollyn and collecting all this data on him, still is a plane-hugger / no-media-fakery guy caught in his net and the wider net cast by gatekeeping of Loose Change and Alex Jones. “It is quite natural that we should adopt a defensive and negative attitude towards every new opinion concerning something on which we have already an opinion of our own. For it forces its way as an enemy into the previously closed system of our own convictions, shatters the calm of mind we have attained through this system, demands renewed efforts of us and declares our former efforts to have been in vain. A truth which retrieves us from error is consequently to be compared with a physic, as much for its bitter and repellent taste as for the fact that it takes effect not at the moment it is imbibed but only some time afterwards. Thus, if we see the individual obstinately clinging to his errors, with the mass of men it is even worse: once they have acquired an opinion, experience and instruction can labor for centuries against it and labor in vain. So that there exist certain universally popular and firmly accredited errors which countless numbers contentedly repeat every day. Most of these are repeated parrot fashion without much thought being given to them and merely because when people first heard them said they found them very wise-sounding. What the pathetic commonplace heads with which the world is crammed really lack are two closely related faculties: that of forming judgements and that of producing ideas of their own. But these are lacking to a degree which he who is not one of them cannot easily conceive, so that he cannot easily conceive the dolefulness of their existence. It is this deficiency, however, which explains on one hand the poverty of the scribbling which in all nations passes itself off to its contemporaries as their literature, and on the other the fate that overtakes true and genuine men who appear among such people. All genuine thought and art is to a certain extent an attempt to put big heads on small people: so it is no wonder the attempt does not always come off. “Where children have the grand advantage over grown-up people is in their freedom from the weight of authority and tradition. They are forced to behave properly at meals and lessons and never to make themselves a nuisance; but in their play-time, which is of course the bulk of their time, the majority of children even ‘only children,’ are left to invent their own ‘games’ as they are called. Now this use of the word ‘games’ for the great purposes of children’s life is extremely misleading. Older boys and girls play games of course; and as they play them they accept them as games; and the younger children are often cajoled or bullied into learning the arbitrary rules of these pastimes. But the passionately intense inner life of children, that imaginative existence which is to them the whole purpose and vital interest of their days is not a game. It seems a game to the grown-up people around them. But so far from envying the grown-up reality of this ‘older person’s life,’ or admiring it, or thinking how to imitate, children have a permanent underlying contempt for it as lacking in the one thing important. This one thing important is magic. Children are unable to explain this! They do not know what the word means. I confess I am not perfectly clear about that myself. But whatever it is, it implies two things. It implies the feeling of a living power over matter and over nature. And it implies a great gap in space, a pure clear void in this whole system of things, where absolutely new reactions to life rise, like fairy bubbles, and go floating off into the unknown! It implies a lot else besides. But the great point is that the most thrilling moments of happiness with a child are secret and magical and come from a level of reality which is completely different from the level of reality of grown-up people. Children do not play ordinary conventional games unless they are encouraged to do so by the older boys and girls. Children’s ‘games,’ strictly speaking, are not games at all. They are the child’s inmost reality! They are the child’s life-illusion. They turn back to them with a sigh of relief from the impertinent intrusive activities of grown-up people. The truth is, children are not half-men and half-women, or half-boys and half-girls. They are a race sui generis. They are a race of beings to themselves. And it is in the power of this curious race of beings to plunge into the secret of life more deeply than all other mortals. More deeply? Ah! The whole problem of the blunder of our Western civilization is implicit here; for it concerns the nature of what we call reality. Real reality is entirely of the mind. It is partly good and partly evil. But it holds the lower reality – that mere plastic agglomeration of matter and material force – in subjection. It creates and it destroys this lower reality at its wilful and arbitrary pleasure. This is why it is only vulgar and ill-bred people who give their children expensive toys. To a real child anything will serve as a toy. Cheap toys do no harm; and they give these unique beings incalculable pleasure. But it is always their old toys, however cheap, that children cling to. Why? Because they are no longer simply toys. They have become the mediums, the bridges, the ladders, the trap-doors, the magic carpets by which they enter the kingdom of heaven; enter, in other words, the rainbow-land of their own imagination! Fumbling about, as my imperfect memory is doing now, among the scanty impressions of those Shirley days I ask myself what dominant urges of my after-life can be traced as far back as this and what cannot. The desire to be a magician is there without any question! When I was suddenly transported with rapture in that little lane going down the hill to the village, as I stumbled along the muddy ruts in front of Littleton’s perambulator, pretending to be ‘The Lord of Hosts,’ it was a desire for some obscure magical power that inspired me. I’m making my way back through your posts. I like the podcast format. I don’t listen to podcasts normally, but I should develop the habit, it would help me consume way more content. I can listen while at work or during long bike rides or while cleaning the house. I especially like the last 4 minutes of this podcast. I want to make a separate file out of the last 4 minutes and add it into my music playlist. I still owe you a proper reply to the questions you enailed me, I hope to complete that in the next 48 hours. It pleases me to see that there are others out there like me, who go back through the catalogues of content creators they like. I have personally gone through the back-catalogues of Jan Irvin, Kyle Hunt, Ab of Fakeologist, Max Ratt, Eric Hunt, just to name a few. Even though I have since ‘grown out of’ many/most of these content creators’ works, by going through the catalogues I was able to swiftly get a deeper insight into not only their fundemental schtick/perspective, but also their development across time. Thanks for the kind words about the last four minutes. I try not to script as much of my work these days because of the time investment required, but when I hear positive words like that, it is very encouraging. Thank you.